In case you haven't noticed, I really like IKEA hacks. There's something about customizing a mass produced piece that just feels so satisfying. So today I have another one for you! 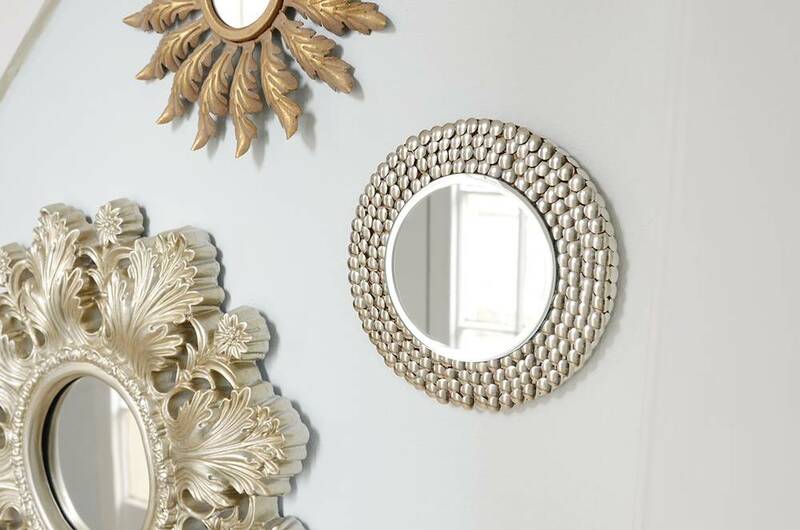 This time, we'll create an IKEA mirror by transforming a cork trivet from IKEA into a glamorous wall mirror. Read on to check out this impossibly simple process. Begin by gluing the mirror to the center of the cork trivet. I found the mirror at my local craft supply store. I would recommend using E6000 glue because it has a strong bond, and it is somewhat repositionable which can be helpful while you're inserting the thumb tacks. Next, begin placing the thumb tacks around the mirror. Push it stightly off center while you're inserting the tacks, so that then you can slide it back over them slightly to cover any visible cork (see next photo). Overlap each tack with the next by about a quarter of an inch. Overlap all of the thumbtacks... this will create a cool layered fish scale sort of effect. Looking for more IKEA Mirror projects? 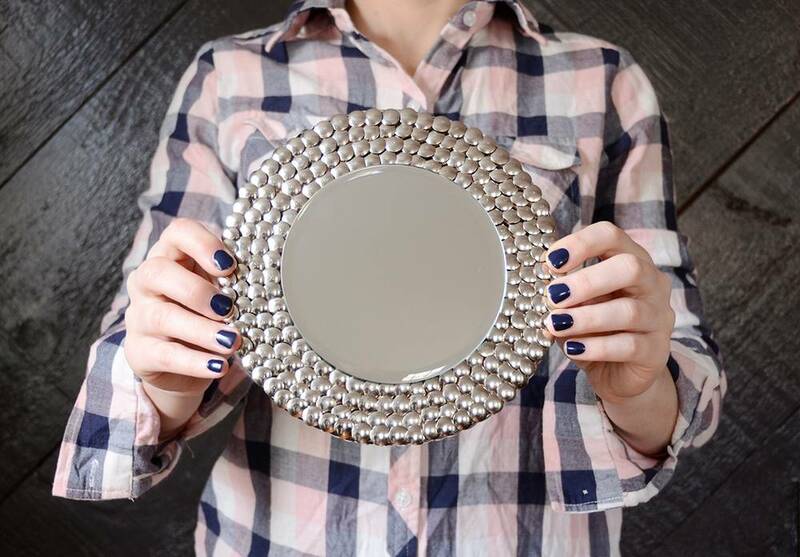 Continue shifting the mirror back and forth slightly as you add tacks around it. Once you've completed a full rotation, overlap the first row with the second. Once you've finished the third row, skip to the outside row as shown above. This way, the last remaining row will overlap everything to create a finished look. Flip it over and twist the ends of the wire to form two secure loops. 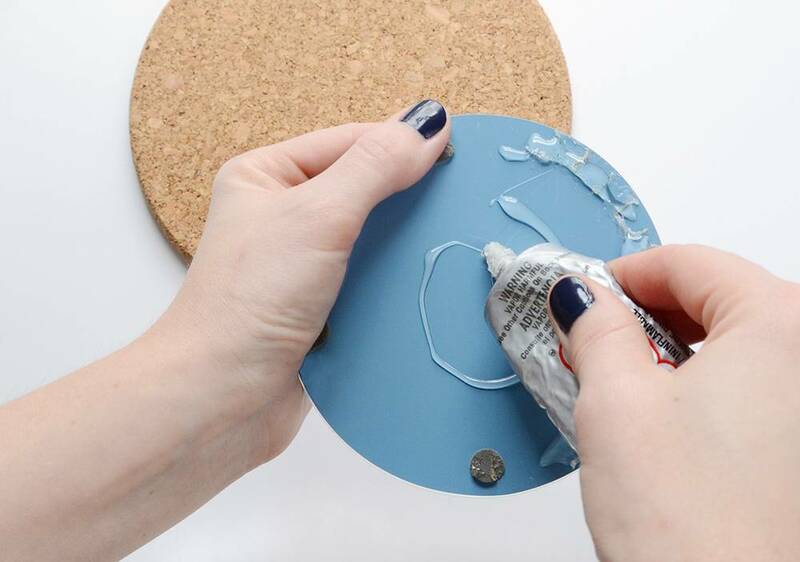 Apply a dab of glue to the underside of a thumb tack and stick it through the loop and into the cork. Do the same on the other end. This will create the hanger for your mirror. And that's it, you're finished! I love the layered effect, it reminds me a bit of chain maille or armor. And the metallic silver-y finish of the thumb tacks looks so glam on the wall! If gold is more your thing, you could try to hunt down some gold thumb tacks online for a different take on this project. Happy crafting! Interested in seeing more IKEA hacks? Check out some more here. @victoria thanks! I think I got the other two at HomeGoods... I've had them for quite a while. Very cool craft! Where did you get your other 2 mirrors? Thanks Lisa! I know, surprising right?! It's thumbtacks?! I would have never guessed. It looks amazing! !